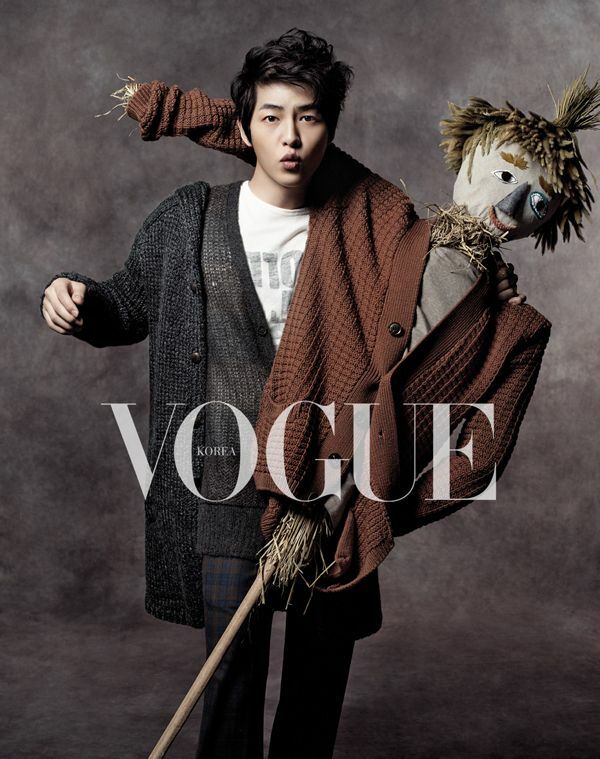 Song Joong Ki with a scarecrow? Who comes up with these random ideas anyway? 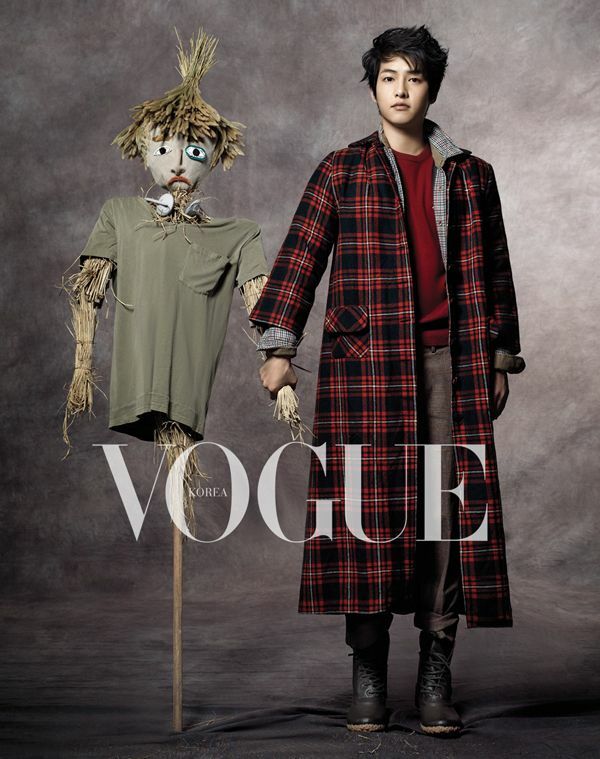 This one comes courtesy of Vogue Korea, which decided that one of the hottest young stars in Korea needed to pose with a stick and some straw rather than, oh, maybe an animated person. 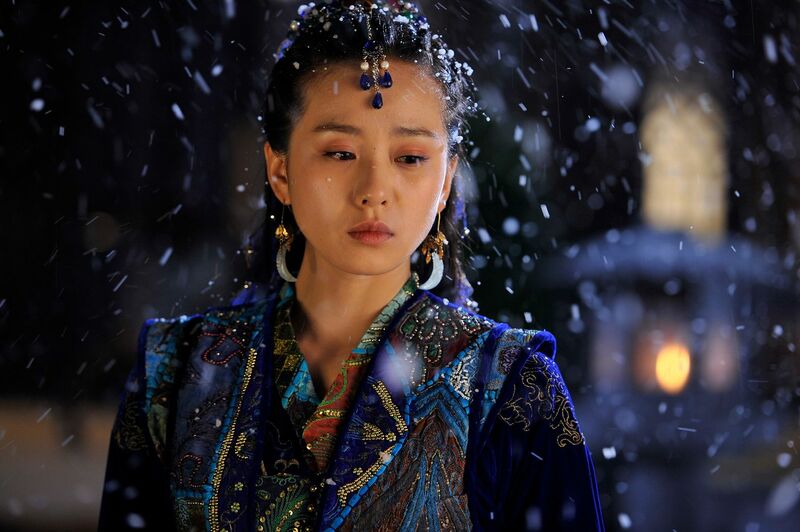 I’d be good with a bromance concept with Yoo Ah In, or any lovely fresh-faced ingenue will do. No matter who he’s with, he’s still the prettiest thing in a fifty-mile radius of Seoul (and no, I didn’t diss Yoo Ah In, who can be called hot and smoldery, but never pretty). Song Joong Ki star couldn’t be shining any brighter, with a short but completely drama-stealing turn as the young King Sejong in Tree with Deep Roots. He’s also got a movie with Han Ye Seul coming out called Penny-Pinching Romance, which actually sounds really cute in concept. 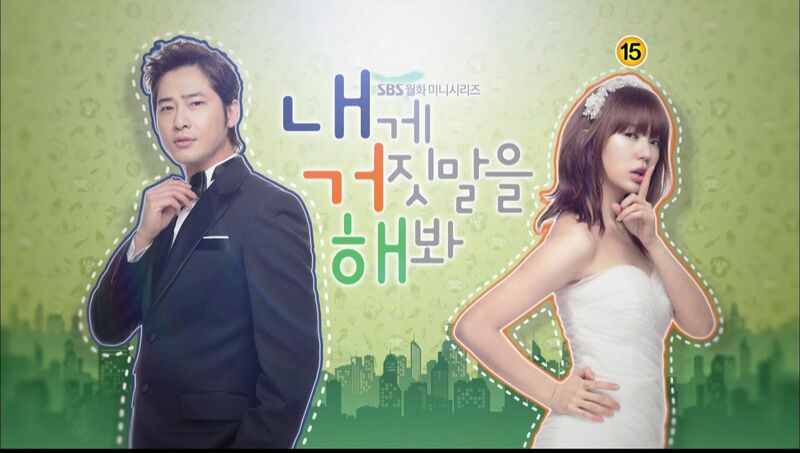 I’ve adored this boy since Triple (hate you fauxcest, puppy-killing drama! ), but I think this might be the last year anyone will think he’s anything but leading man material all around. He’s really has developed into a phenomenal actor, hasn’t he? *raises ICOMYM membership* Yeah, he is pretty and oh so talented. Not that I’m following his career like a good noona who’d like to pinch his cheeks and cheer him on forever and ever. Nuh uh. Not me. I also want to read the interview that accompanied the Vogue photoshoot. Really liked what was quoted in the press, that for Tree With Deep Roots, his role was to show how his character came to break out of the prison that was Yi Bang Won and he needed to build the foundations on which Han Seok Kyu sunbae could stand. Sometimes his good looks make it easy to underestimate how fiercely intelligent and committed he is as an actor. Omo! Can I just be the scarecrow he is holding on! I wooob SJK so much! He is so adorable. 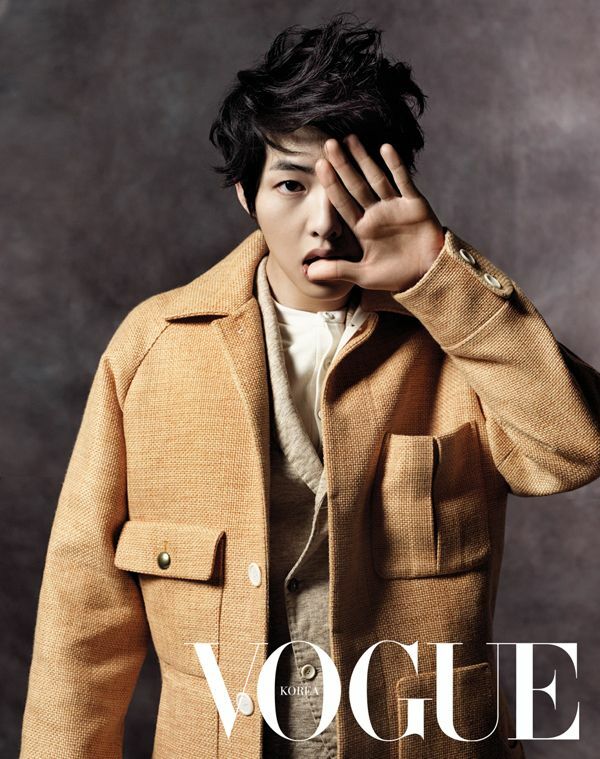 Hoo yes, SJK as a leading man? 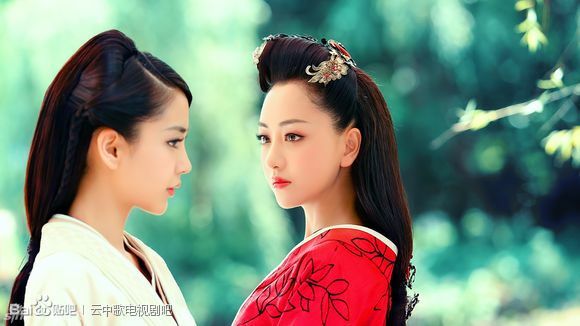 That drama I’d be all over. It’s about time he and Yoo Ah In got leading roles; both of them definitely have the acting chops and the charisma, and of course, the looks. 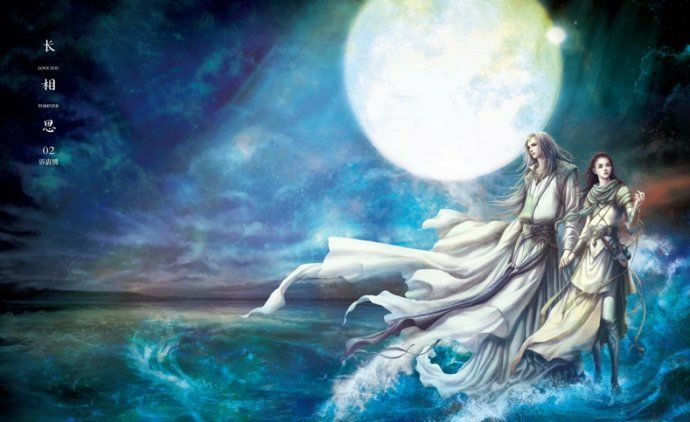 Look at it this way; they can easily out-act Micky Yoochun, who’s been lead man for TWO dramas now. So there wasn’t anyone (ANYONE?) 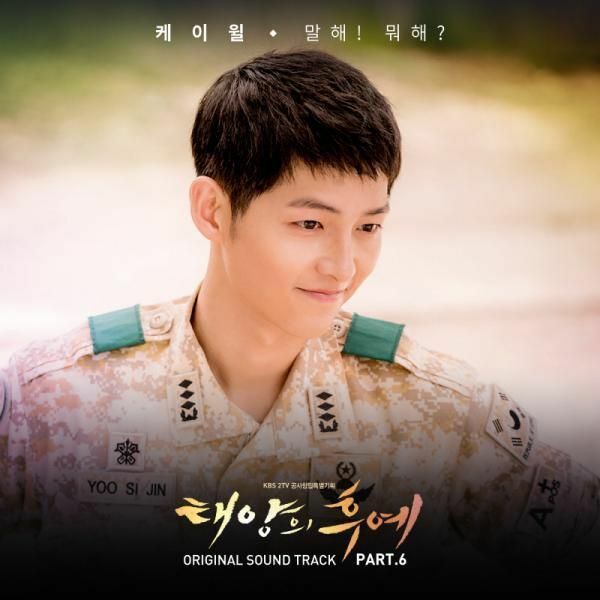 willing to pose with Song Joong Ki… but you know, as long as he is there, it’s alright! I’m so glad that he is moving forward in his career. Happy for him!! !